Come and explore your inner creativity. ”Every artist dips his brush in his own soul and paints his own nature into his pictures.” — Henry Ward Beecher. 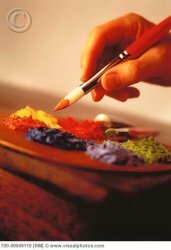 Learn how to express yourself through the art of Drawing, Painting and Sketching . Learn Oils, Acrylics, water colours, Pastel and more …. you never to old to learn a how to paint or draw . Art is 90% technique and 10% creativity.